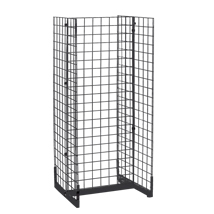 The Gondola Grid Display assembles easily with 24 in. Wide x 60 in. High panels, connectors and base with 4 casters. 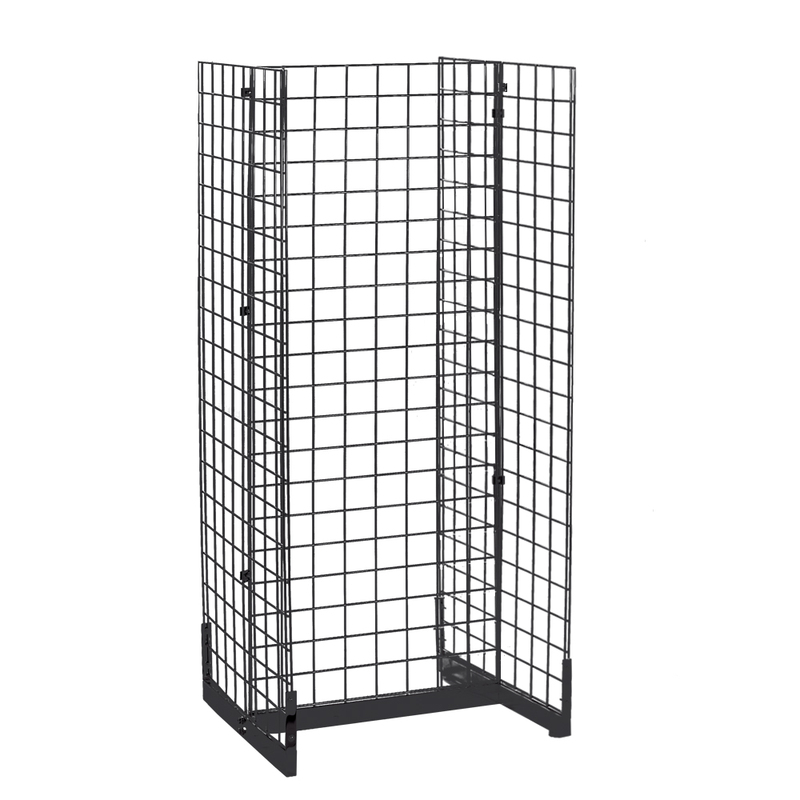 The Gondola Grid display accommodates grid shelves, grid hooks and grid accessories. Great for increasing impulse sales on candy, snacks, software, books, CDs and more. Units feature double wire construction. Available in White or Black.